Well, it’s about that time again as the smoke from campfires starts rising around the Kerr Lake campgrounds. The boat ramps get to see the rear ends of more trailers and trucks and you can see the fish starting to jump! From the US Army Corps of Engineers and for our fishing fans, is a list of the permitted fishing tournaments according to the Corps’ Glenn Card. You don’t need a ship on Kerr Lake! 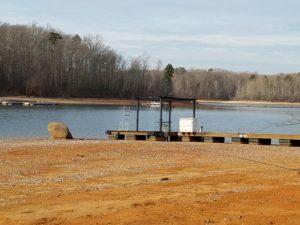 According to news reports, since that is the only way Kerr Lake Park Watch can get information on Virginia’s two state parks on Kerr Lake, the new Splash – Spray Ground is now open at Clarksville’s Occoneechee State Park. It was about 13 months ago on April 22, 2017, that Kerr Lake Park Watch broke the story about Virginia Governor Terry McAuliffe attending a ground-breaking ceremony for the new park. We attended uninvited, although some Kerr Lake Park Watch founders are also co-founders of the Friends of Occoneechee State Park, which unfortunately is fairly defunct. 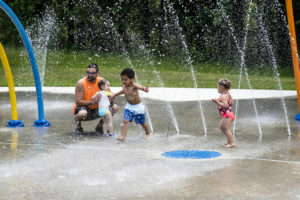 The Spray Ground, which cost just under $2 million and from news reports it looks as though the Splash Spray Ground will be open for fee participation on weekends, and will operate through the summer, generally from Memorial Day to Labor Day. The water feature is the first of its kind offered on the shores and on public land of Kerr Lake. 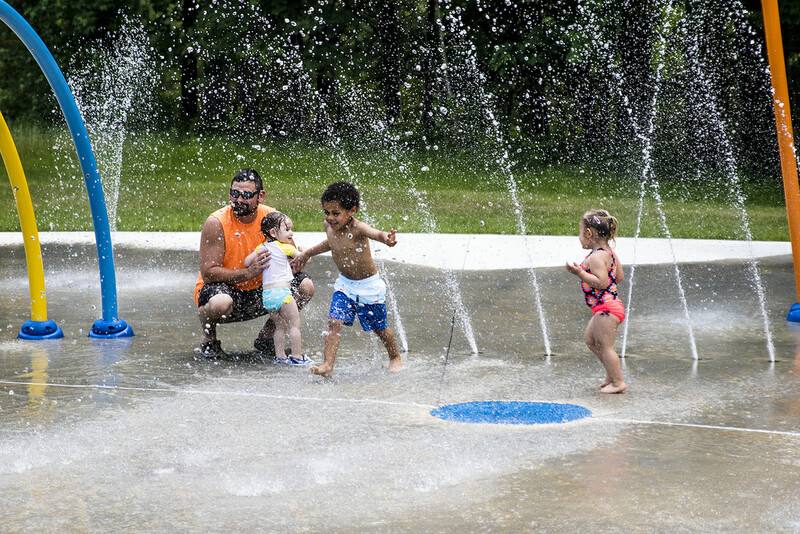 In addition to supplying fun for kids of most ages, a key component of the design of the Splash Spray Ground is that it has its own water reclamation system. That is a wise use of water since Occoneechee State Park is the largest water customer of the Town of Clarksville. 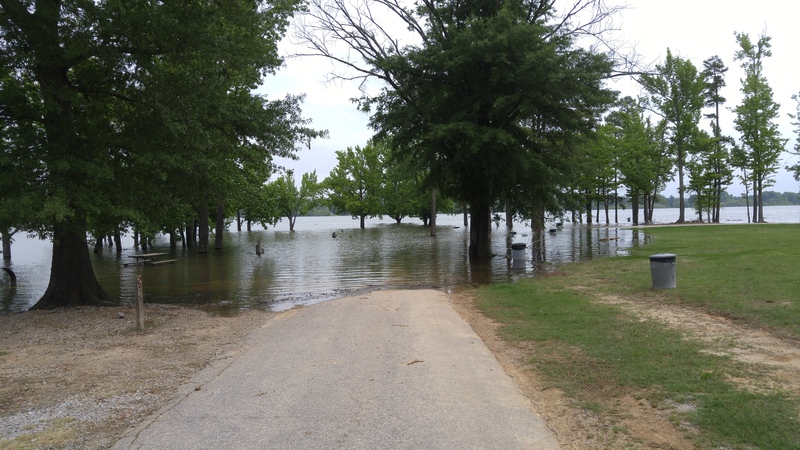 The waters of Kerr Lake are still rising here on Monday night, just four nights away from one of the biggest camping, picnicking, boating and grilled foods weekends of the year, the extended Memorial Day Weekend. 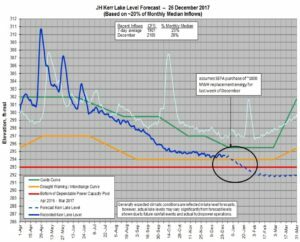 With rains pouring in again this evening, there’s a good chance that the level of Kerr Lake will rise above the 308.5-foot level, and depending on how much rain, the lake could go higher. 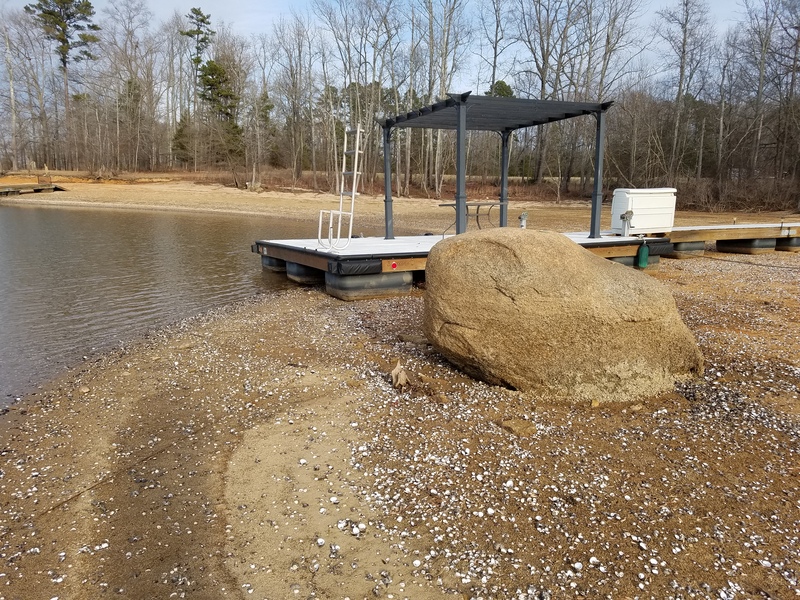 Affecting the North Carolina side with the seven NC State Recreation areas which are lower in elevation, the waters of Kerr Lake rose over two feet last night hitting 307.5 ft (above mean sea level) today around noon. Several campers have been moved to other sites on the NC side because the electrical boxes must be pulled and according to NC State Parks, Bullocksville and Henderson Point parks were completely shut down today. Campers on this loop may have no where to camp this holiday weekend. Contacted by Kerr Lake Park Watch, the US Army Corps of Engineers said today that the much sought after QRR Plan (Quasi-Run-of-River), which allows for larger releases of water from Kerr and the lower lakes. The Corps had been releasing 15,000 CFS (cubic feet per second) but has upped that to 25,000 and for the rest of this week, 35,000 CFS. 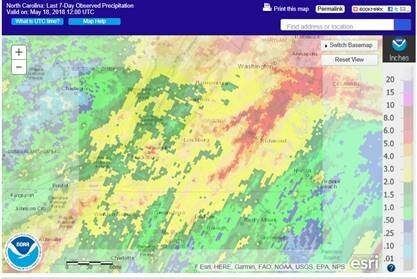 Inflows were slowing until most of the Kerr watershed received another dumping of rain this evening. 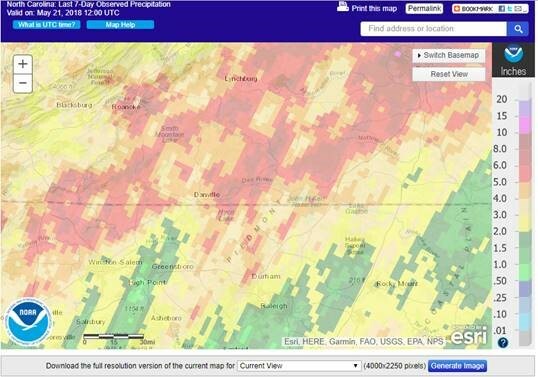 Hatchell added, “Anticipate a peak elevation nr 308.5 ft tonight/Tuesday. We are increasing this week’s declaration to initiate 25,000 CFS releases tomorrow, followed by 35,000 CFS releases beginning Wednesday through middle of next week. 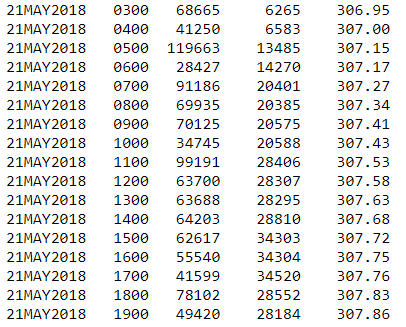 Even with this increase, we will possibly be near 305.5 – 306 feet (above mean sea level) next Friday, based on forecast inflows. For any of the parks with low-lying camp sites, picnic areas, swimming areas and boat ramps, that could mean canceling plans. Several public roads outside the parks are also affected and will continue to be affected this weekend. In Hibernia Park, for instance, all 148 campsites in Areas 1, 2 and 3 are booked this weekend. Those in Area 3 which is a much lower elevation, mostly like will not open back for the holiday weekend. The drop from what ever level Kerr Lake reaches by Friday will still leave some campsites under water or without power. If you do not know your camping spot you’re going to on Kerr or you know your camping spot is normally very close to the water, you should call the agency which oversees the particular park you’re going to visit. That could be the US Army Corps of Engineers, NC State Parks or possibly Virginia State Parks, although those parks are not as susceptible to flooding. 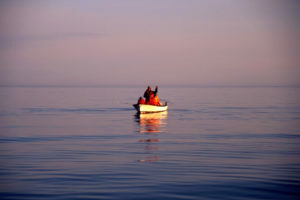 DANGER – the water is much higher than normal and driving a watercraft close to shore is dangerous if you are unfamiliar with your location on the lake. DANGER – because of high waters, there are a lot of floating debris on the lake, including but not limited to logs, trees and trash. Take time to find out the status of the location for your Kerr Lake activities and then enjoy and be safe. “I remember the first time an out-of-state visitor asked me about high and low tides at Kerr Lake. 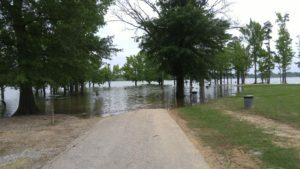 I laughed until I cried.” Comment from Kerr Lake Park Watch’s Frank Timberlake, who offers this information about the tide going up this weekend at Kerr Lake. Hatchell added that lake goers should expect a peak near 306 ft Monday if rainfall forecast materializes. The Corps will begin 15,000 cfs (cubic feet per second) releases Monday (increased from 9,000 cfs as were requested in the original declaration), to address the rain that has already fallen. 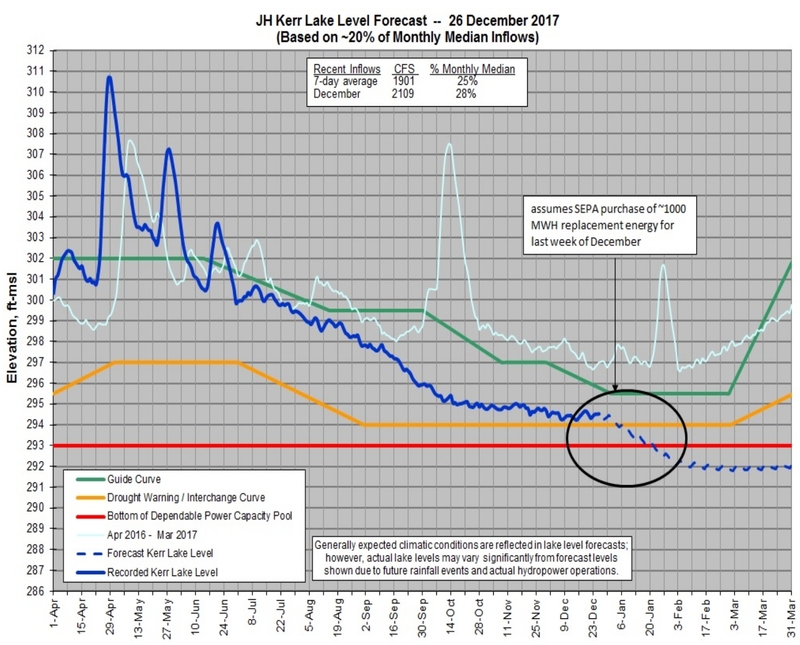 Further increases may be needed in releases next week to manage lake levels. The Corps will revise the declaration on Monday to adjust if necessary. As of 5:00 PM today, Kerr Lake’s level had risen to 301.58. 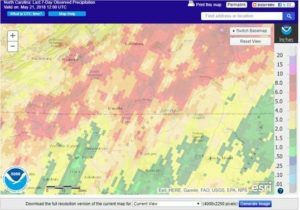 Forecasts change and changes in releases constantly change the lake level. People with plans at the public facilities along the shore of Kerr Lake this weekend and next Memorial Day weekend should check the lake level from time to time. Happy and pretty dry New Year from Kerr Lake. Kerr Lake is suffering from chronic low tide. The lake went down in September and has remained uncustomarily low around the 294-foot level for about four months. 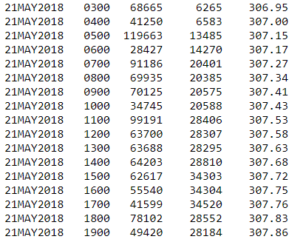 Normal lake level is 300 feet above mean sea level. You can see from the attached USACE graph that the current level is below all measured “should be” levels. 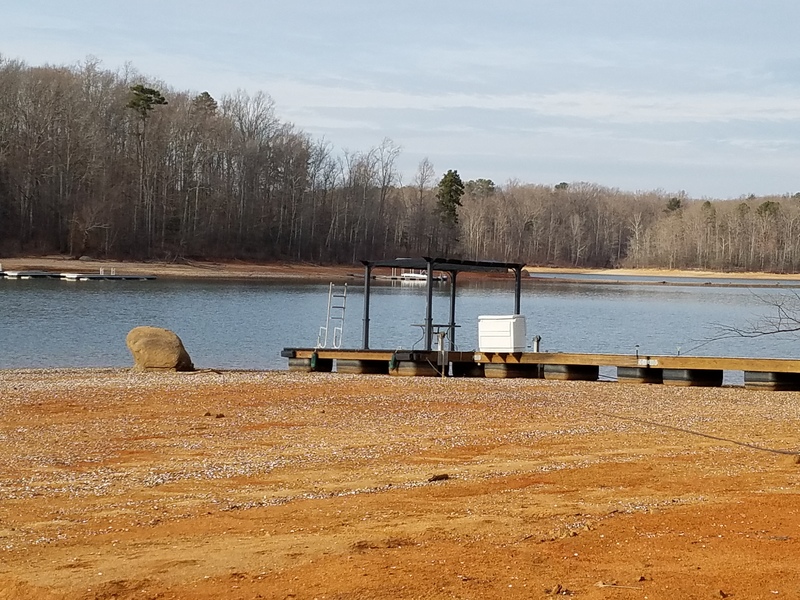 In preparation for at least two hurricanes the U S Army Corps of Engineers lowered the Kerr Lake level by about six feet and there hasn’t been much rainfall in the watershed since then. The water has been so low that grass is growing on some of the normally water-covered shore. Some dock owners like Kerr Lake Park Watch Steering Committee member Larry Matthews are taking advantage of the low tide at Kerr. 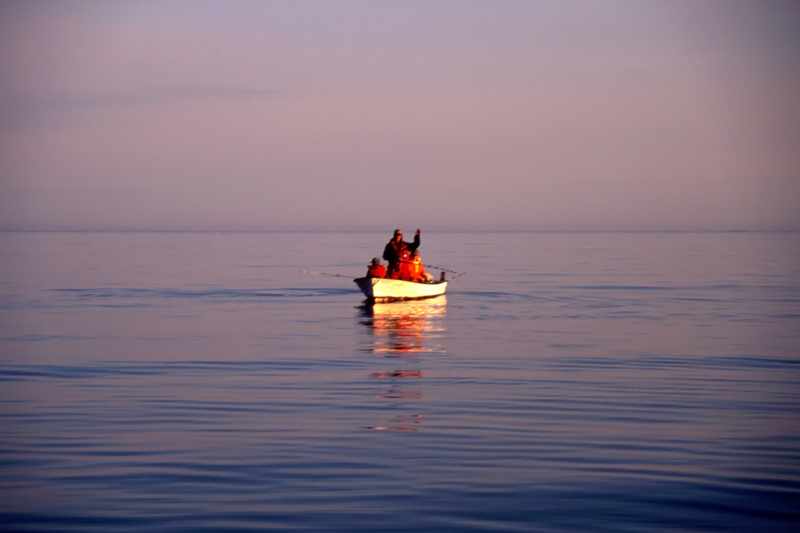 All the frustration in the world will not raise the tide in Kerr Lake. 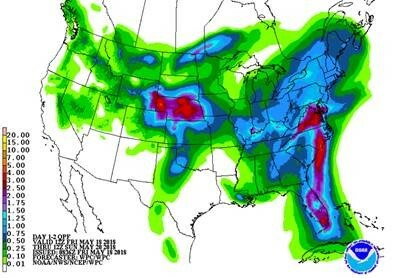 It will take rain and lots of it. In the meantime, you can visit one of the open parks and you can walk farther around the shoreline than ever. Happy New Year from the more than 580 members of Kerr Lake Park Watch!